The winter holidays are here! Christmas is just around the corner, and regardless of what you celebrate, you may or may not be getting a special gift for a family member or friend. If someone you know has put the Nintendo Switch on their list, they will be thrilled to receive it as a gift! Here is the complete guide on buying it, and what games and accessories that are essential. I will also include links to buy it on Amazon (even though you can find it other places) in case you are interested. What IS the Nintendo Switch, anyways? To put it very simply, it is the latest gaming console from Nintendo, and it is an entirely new kind of console. It is drastically different from the Xbox One and Playstation 4, and for one major reason: It isn't a home console, and it isn't portable either--it is the first ever hybrid console. It combines the home and portable console experience. It operates as a tablet that can be docked to a TV screen, with detachable controllers that will suit a variety of playstyles. It is perfect for those who lead busy lives and aren't always at home. 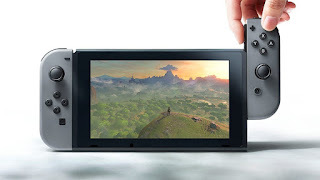 At home, you can sit down on the comfort of your couch to play a game, and if you have to go somewhere, simply slide the tablet out of the dock and attach the Joy-Con controllers to bring it with you. It was this versatility of use that made me want to get a Switch in the first place. I could play it on TV just like any console, or bring it on the go. The tablet acts as its own portable TV screen. You can plop it down on a table, since it has its own kickstand. You can pass a controller half to a friend to play multiplayer on the same screen, or just play single player on your own. It can be used however and whenever you want! Besides the hybrid nature, the other big difference from the Xbox and PS4 is the games. It has a vast catalog of Nintendo exclusive games. These include major and well-known franchises, such as Mario, Zelda, and Pokemon. Yet if you aren't into those kind of games, there are still third party major games as well. They have FIFA, NBA, Skyrim, and even first person shooters such as Doom, and LA Noire. There is truly a game for everyone of all ages and interests. Check either a local retailer, or an online one. 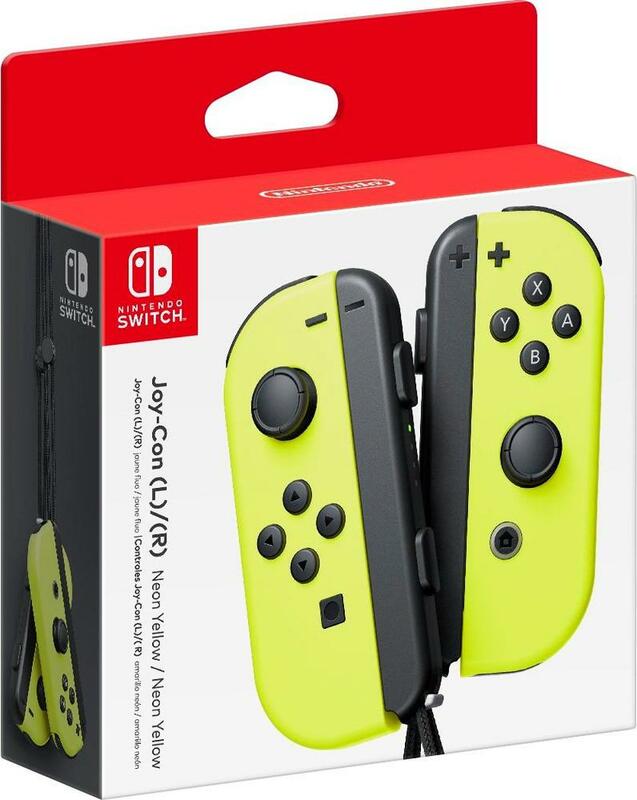 Best Buy, Game Stop, and Walmart may have some in stock. Amazon has it at list price with free shipping. You are gonna have to hurry if you want to grab it in time for the 25th! Game Stop and Best Buy currently have some stock online. Check local store availability or order online. There are two bundles available: ones with neon red and blue controllers, or just a regular grey one. The colored one is awesome, so definitely choose that one, unless the person doesn't like awesomeness for some reason. It costs around $299, so don't pay any more for it than that if you see it online, since it would be someone trying to rip you off. First of all, there are several games available, but I will list the 5 best ones, and explain what ages and interests that they would appeal to. Most games have a list price of $60, but you can find it for a few bucks cheaper on Amazon sometimes. This one should have been obvious. Zelda: Breath of the Wild has gained much critical praise since its release, earning 10/10 across the board from IGN and Metacritic, and being chosen as 2017's Game of the Year at this year's Golden Joystick Awards. It may be seen as the main reason to get a Switch in the first place. It is a massive open world where you can explore every nook and cranny, and the story follows Link trying to save Hyrule (as always) where completely reinventing the franchise. You must gather materials to fight and survive, and uncover the true story of what happened 100 years ago to send the kingdom of Hyrule into ruin. Who should get it? This game is an essential for all gamers over the age of 7. It is a massive game that will take long to complete, and is extremely challenging at times. It isn't bloody or anything like that, but fights can get really intense. It is a masterpiece of a game, so as long as you aren't buying this game for very young children, or those who don't want a challenge, this is a MUST-HAVE. Just like the game I mentioned before, Super Mario Odyssey is a critically praised, phenomenal game that can easily be considered as the main reason to but a Switch. However, unlike Zelda, this one is much more accessible for all ages and skill levels, so it is automatically an essential regardless of who you are buying the Switch for. It is a 3D platformer where Mario is travelling all across the world. Each world requires you to explore to find moons to power up your airship, the Odyssey, to fly to the next kingdom. Mario is now equipped with a new hat named Cappy, who he can throw in order to turn into enemies, remove items, or manipulate his environment. It is very fun, isn't too easy or too hard, and will definitely be enjoyable. So what should you get between these two? Get either one, the other, or even both. 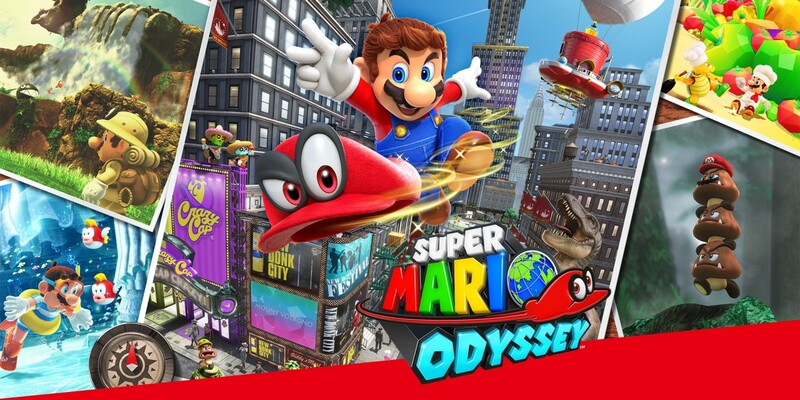 If you are getting it for a child who can't play anything too intense, get Mario Odyssey. If you are giving it to an older kid, a teenager, or someone who is more experienced at gaming, then get Zelda, or both. 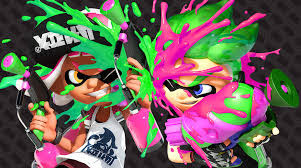 Splatoon 2 is a third person shooter with a twist: all the characters can turn into squids, and you are shooting paint at each other! Just like the first game in the series (which was on the Wii U), the objective of each online match is to try to cover more paint (and gain more turf) then the other team. It is a very fun online multiplayer game that is very fast paced. Unlike other shooters, you don't necessarily have to shoot more enemies to win: instead, you have to cover more ground. It is fun regardless of how good you are at it, and is good for all players. This is by far, the best local multiplayer game on the Switch. 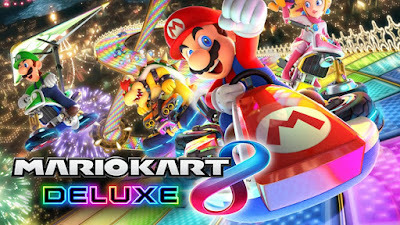 Just like all other Mario Kart games, it is enjoyed well with several friends or family in the same room to play together with. It has exciting kart racing action that is fun regardless of your skill level. 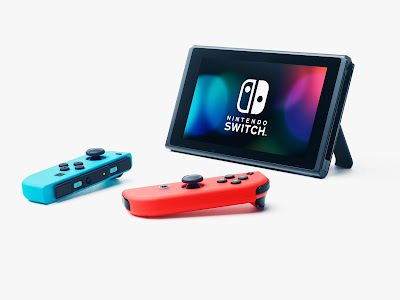 The portability of the Switch makes the game even better, since you can take the Switch with you, put it on a table, and give controllers to a friend to play multiplayer wherever you are. You don't need an extra Switch system in order to play multiplayer, so this will offer hours of fun in both singleplayer and multiplayer. 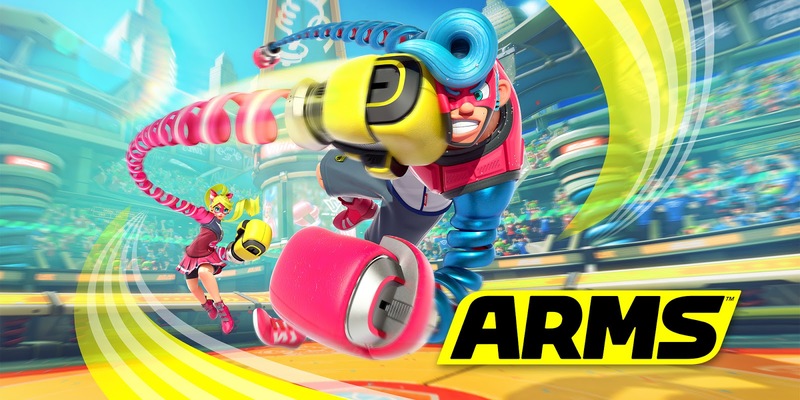 Arms is a fighting game where you do boxing with extendable robot arms. It makes use of optional motion controls to punch and move, but I personally think it is fine with just button controls, which are still an option. You can play local or online multiplayer, and test your skills against others. It is very fun and competitive. Here is a list of some optional accessories to get along with the Nintendo Switch. The Switch already comes with two Joy-Con controllers. You might want to grab an extra pair if you plan on playing multiplayer with more than two people at a time. All Joy-Cons, including the ones that come with the system, are sleek and light, and have features such as motion controls and HD rumble. They come in a variety of colors, such as neon yellow, neon pink and green, grey, dark red, and neon red and blue. They cost $80 for two of them, or $50 each. 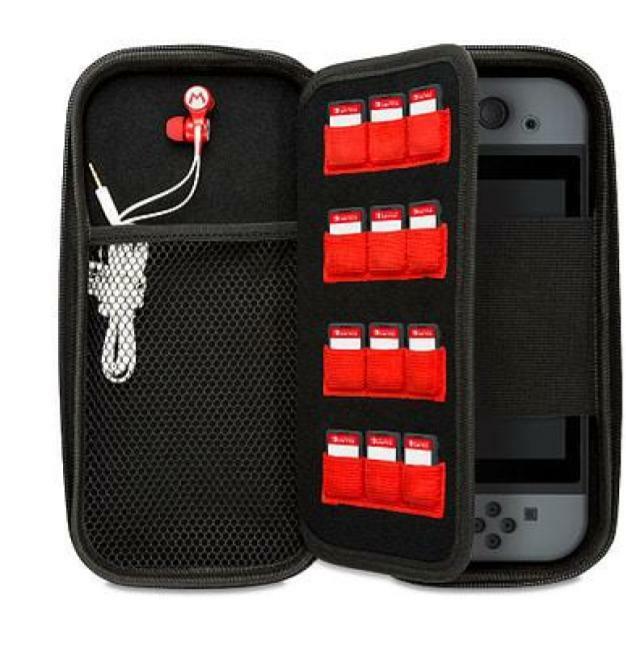 This is essential, especially if you plan on bringing the Switch along with you. Not only do they protect them, but it is a lot more convenient to have everything in one place if you the Switch is ever brought to a friends house or on vacation. This way, not only does everything stay safe, but it is also all in one place and easy to carry it, so you don't end up having all of it into some random bag and somehow lose some of the bits and pieces. They are relatively cheap (between $10 and $20), and there are even some cool designs on them. 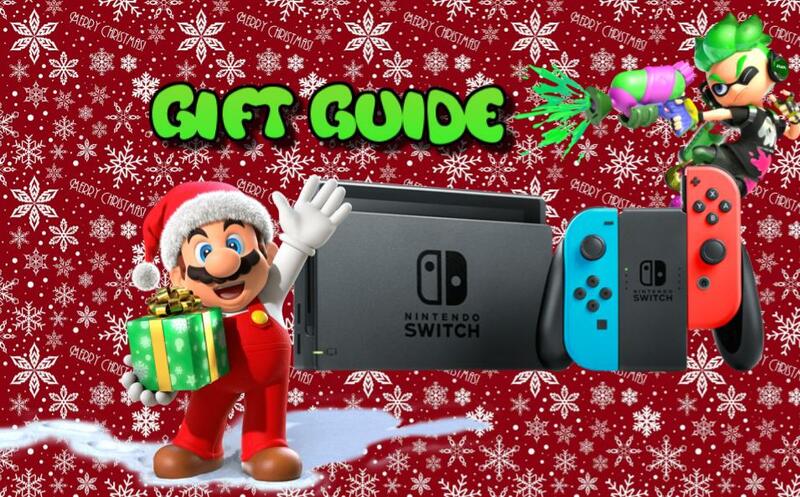 That is the end of my holiday gift guide for the Nintendo Switch! I hope this was a help for parents, grandparents, or close friends who want to give a Switch to a loved one. If you are, you are awesome and I can guarantee that the person who is receiving it will have lots of fun with it for years to come! I happen to own one myself and don't regret it.